A living legend in Christian apologetics, Montgomery is said to be the scholar who bore the "intellectual heavy lifting" that undergirded the conservative renewal of the Southern Baptist Convention. Here, contributors who have been influenced by him---including J.I. Packer, Ravi Zacharias, and John Ankerberg---address current issues using Montgomery's style of apologetics. 800 pages in softcover. 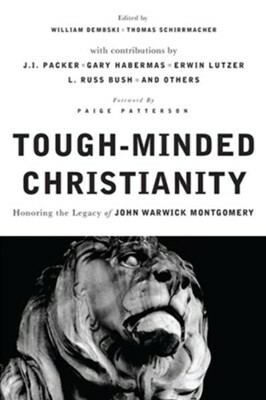 I'm the author/artist and I want to review Tough-Minded Christianity: Legacy of John Warwick Montgomery - eBook.